The3dForce: “Making Sense” is not the same as “Being True”: the psychology behind “fake news”. This blog is about politics; for the posts on education, please go to www.cognisity.how This blog has been dormant for months. The posts are old but all the ideas are still fresh. Thank you for visiting! Alabama race shows: third-party groups are “all talk, no walk”. Are the Democrats gutless idiots? "The True Role Of The Third Party In The U.S. In The Current Political Environment", or "What Do We Really Need From The First Truly Third Political Party?" “Making Sense” is not the same as “Being True”: the psychology behind “fake news”. Once in a while I like to make things using simple tools, and use them to demonstrate some cool physics. 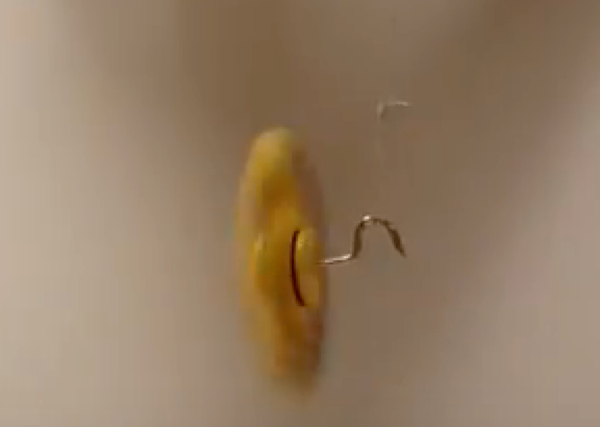 to show gyroscopic precession (https://youtu.be/5PvEgXO1tMk). 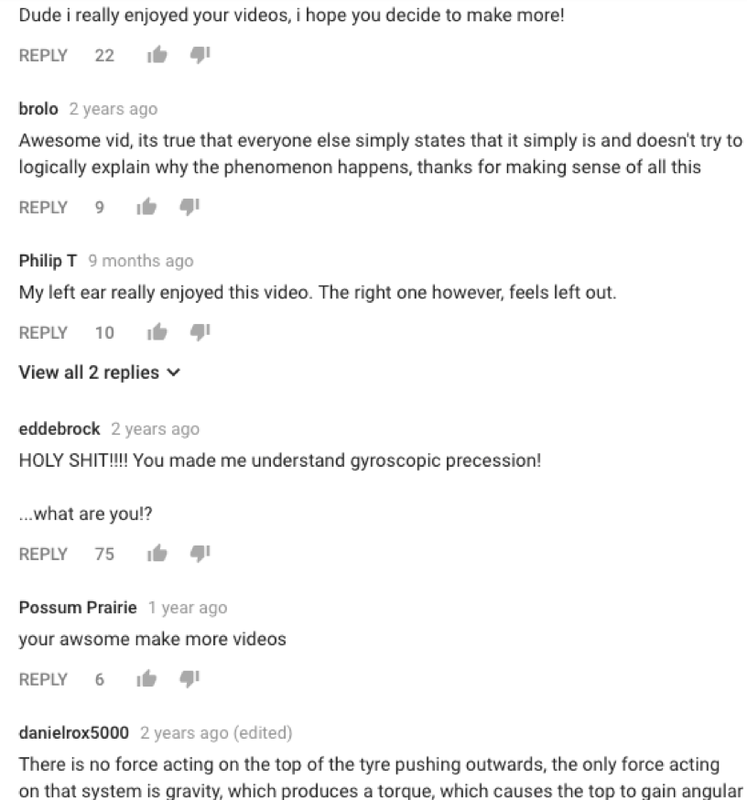 Of course, YouTube has plenty of similar videos, so I was curious about what other people do, and bumped into a video trying to explain the precession (https://youtu.be/EJWIl4MYMbw). 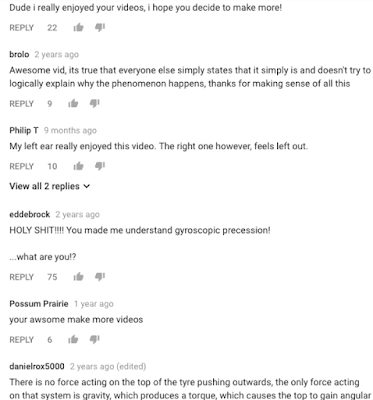 The guy has a YouTube channel, but I only watched one video, and that video was kind of a “fake science”. is a part of the explanation. The arrows are meant to show the “forces” acting on different parts of the wheel. That picture is a crucial to the whole explanation. And that picture is dead wrong. If you consider any small part of the wheel, there are only two objects acting on it: (1) the Earth, and (2) other parts of the wheel which touch the one in consideration (neglecting the air around it). The Earth creates the force of gravity which points straight down (toward the ground). The neighboring parts of the wheel create forces directed in the plain of the wheel (for example, up or down, toward us, or away from us). There are NO forces perpendicular to the wheel! 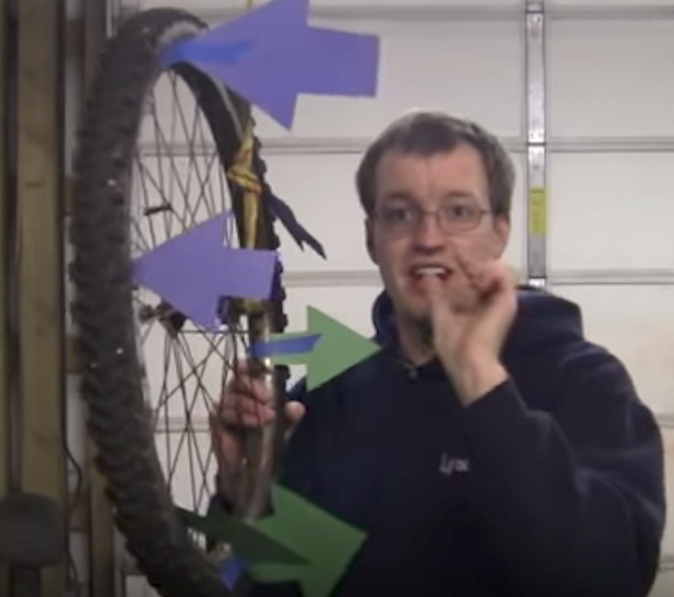 The whole idea of the explanation is not related to just the wheel, it also needs to take into the consideration the fact that the wheel is rotating about an axle, which has some length, and there is a string attached to the end of that axle, and that string is being fixed (held). Without that attachment, a spinning wheel would be just falling down the same way as a resting wheel. Anyway, the explanation in the move was wrong. But what attracted my attention is the feedback given by many viewers. I found one critical review, but it was lonely among many exciting ones. This story is a good illustration of how people make a decision about accepting or rejecting some information. When what they hear simply “makes sense” to them, people do not ask additional questions trying to dig deeper into the premises or the grounds of the conclusions offered as “facts”. And why would they want to do it? Things have already “made sense”! In other words, everything they heard did not contradict anything they already knew, and was a good fit into their previous knowledge (that is what “making sense” means). That is why when people do not have an initial opinion about what they hear, they usually automatically upgrade "I understand what you are saying" to 'I think you are correct". After it happened, it will be very hard to convince those people to change their mind – why would they? They already trusted to the man, it made them feel good, and now someone else tells them that they have been duped? And this is the reason why “fake news” work even better, because “fake news-ers” do not even need to pretend to be accurate (or science-based), all they need to do is to invent something which can “make sense”. BTW: And that is why science education is hugely important! Currently, progressives of all sort are busy with fashioning a big fiery GALA (http://the3dforce.blogspot.com/2017/11/3dforcedown.html). At the same time Regressive Republicans developed a network of disinformation: http://the3dforce.blogspot.com/2017/11/disinformation.html. Who is a real revolutionary here? Creativity, Tax Code, and Human Psychology.